Rolf Carl Werner is an established Swedish street artist with many exhibitions and projects behind him. He is represented in municipalities, county councils, museums and private art collections. In 2007 he was commissioned to paint a whole residential area, unique in its kind at that time in Sweden. He has also participated in large joint projects around Sweden, such as Pärra “Ruskig” Andreasson’s major high school project in Halmstad (State Art Council). 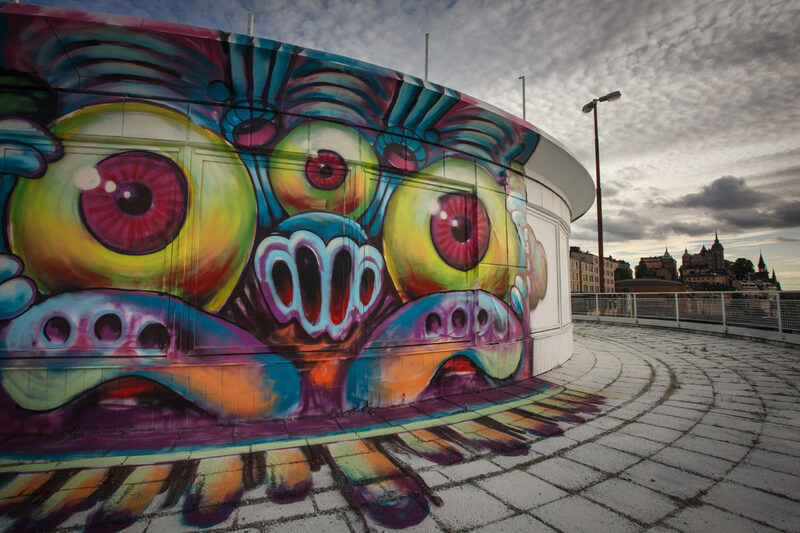 He was also one of the invited artists who painted at one of Sweden’s biggest graffiti fans: Spring Remake in Snösätra. Rolf Carl Werner is a self-taught graffiti painter from the 80’s but developed his artwork in the mid 90’s through studies at Konstfack with Tom Hedqvist as a professor. He works with figurative, imaginary motifs as well as abstract letter-based motifs.